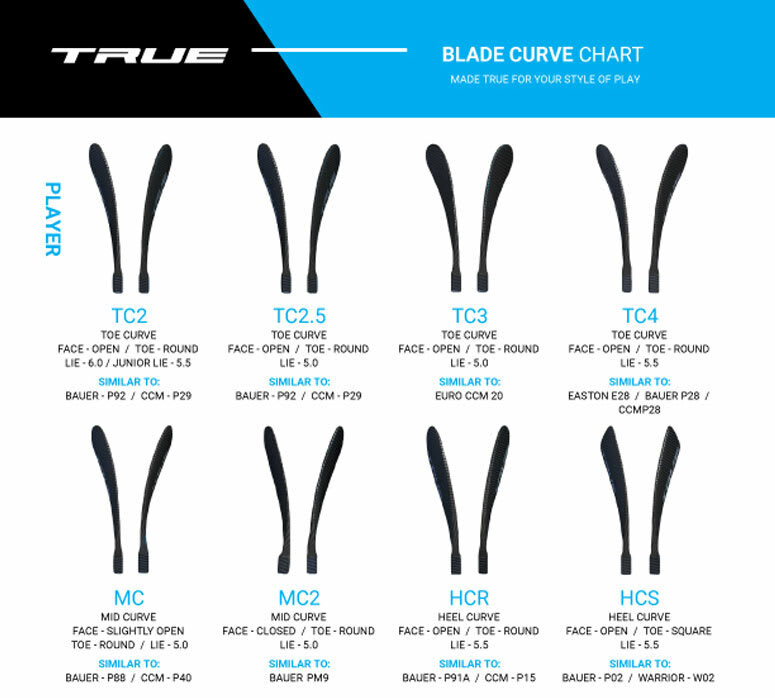 The A4.5 SBP composite hockey stick from True is made for players at any level who are looking for the perfect combination of performance, durability, and affordability. In the A4.5 SBP composite hockey stick you will see some of the same great features found in the A6.0 SBP hockey stick and the A5.2 SBP hockey stick. The great feature about this model is that it comes in at a much more affordable price. For the A4.5 SBP composite hockey stick, the weight of the stick will be 450g for senior, 425g for intermediate, and 375g for junior. The senior model has a swing weight of 672. As we mentioned the A4.5 SBP composite hockey stick features some of the same features found on the higher models. These features include the BRT+ technology, Axenic technology, and True’s SmartPly technology. The BRT+ technology extends the braided rib structure into the heel, improving durability while reducing wall thickness and producing a lighter more responsive blade. The Axenic technology is a patented process by True which creates a true one-piece stick offering unmatched feel. Additionally, True included their SmartPly process to offer a shaft which has great weight, balance, and strength.